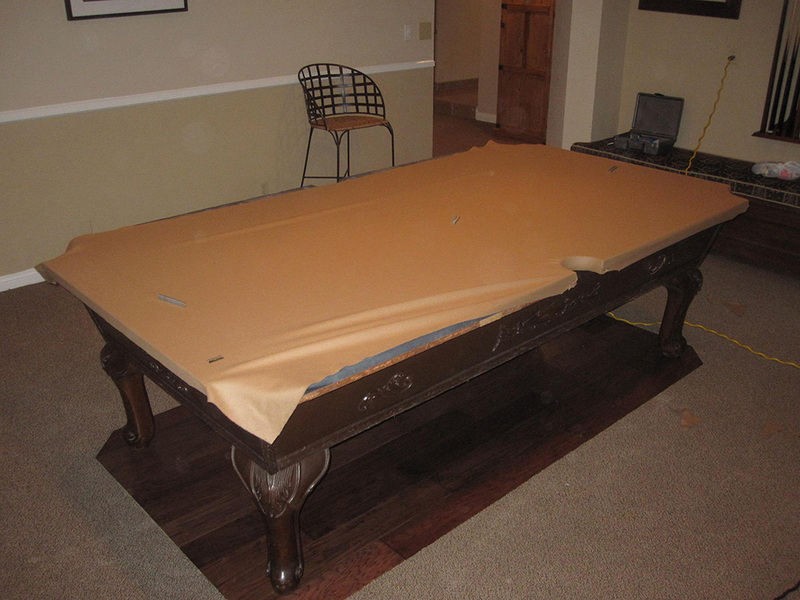 These clients from Coto de Caza, CA had a flood in their game room on Christmas Eve day, we went out and disassembled their Pro. 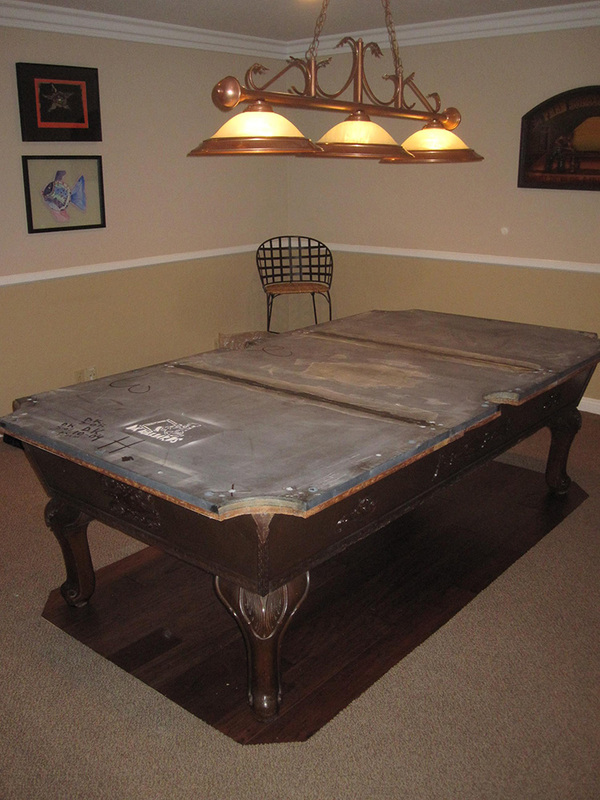 8′ Murrey and Sons pool table and moved it to their garage so repairs could be made. 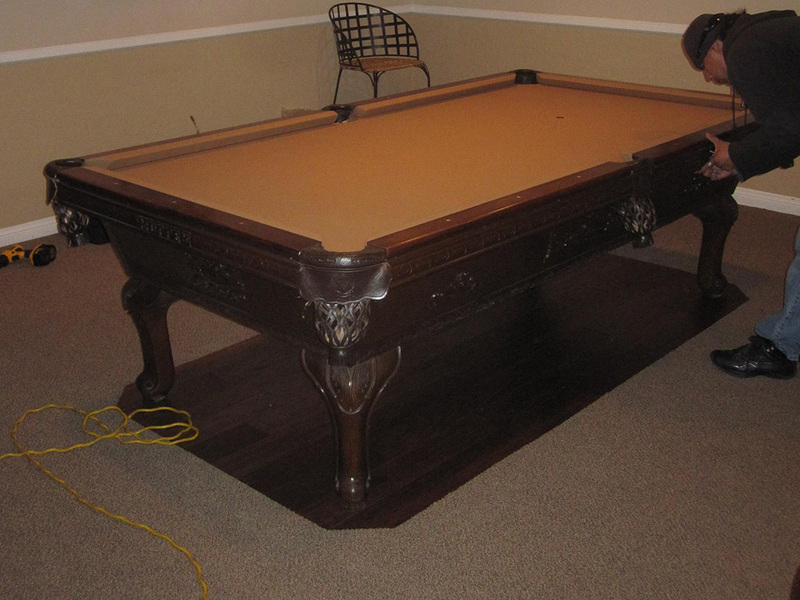 After the repairs to the room were completed, the client gave us the green light to reinstall the pool table. 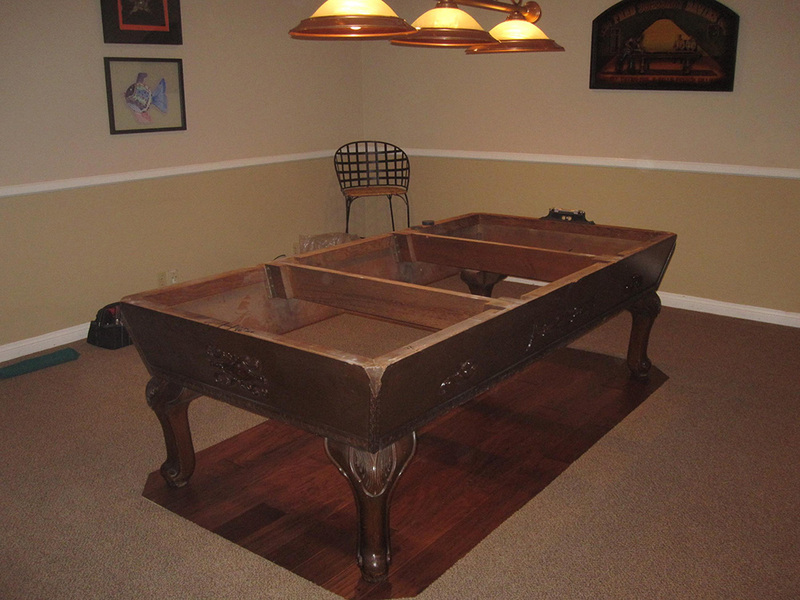 This time the pool table was setup on an inlayed section of wood within the carpeted area. 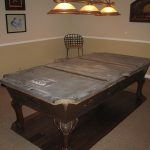 It looked really cool, the guy did an excellent job of aligning the small wood section with the pool table lamp above. 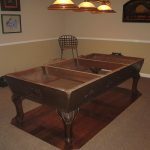 We brought the pool table frame in from the garage and centered it on the wood floor, it lined up perfectly with the lamp. I had previously been to that house to do the exact same move about four years earlier. 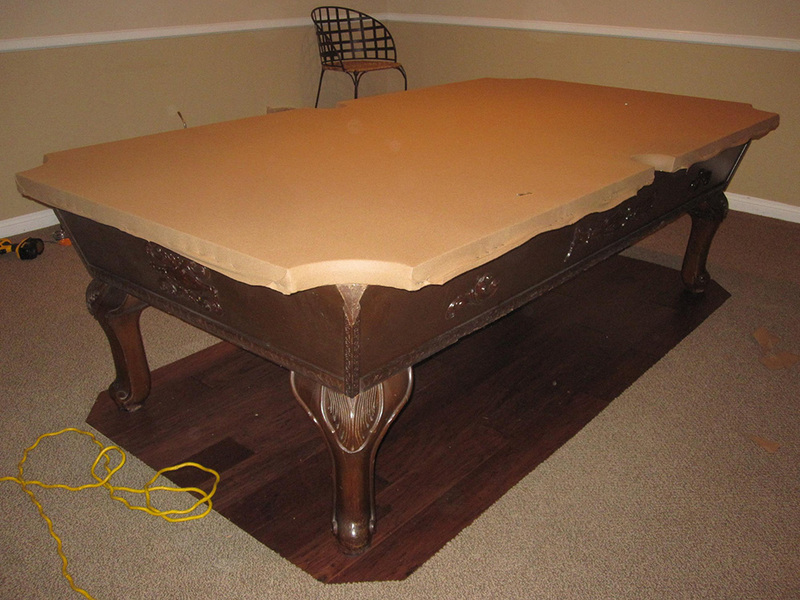 Apparently the subterranean game room was prone to leaks from heavy rains. 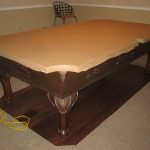 I had told the client the last time I was there that the felt could only be stretched one more time. So low and behold we had those torrential rains a couple months ago and in enters Mother Nature again. So my point is we refelted the Pro. 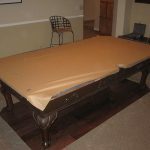 eight Murrey pool table with new Mali 10820-f camel billiard cloth. Let’s hope the guy who fixed the leaking wall did as good of a job as the guy who did the floors.